Furniture is an essential part of our home. Good furniture gives your house a beautiful look and makes you happy. We’re here to help you keep that happiness as it is. We, at Handyman, have some very well skilled and experienced carpenters, who are the best in the country. Well experienced, licensed and qualified, our carpenters are the best, offering best carpentry services anywhere in all of Bahrain. From creation to the renovation of any piece that requires a pair of skilled carpenter hands, Handyman is the name everyone prefers. Our carpenters are unmatched in skill and ability. They can design and make new furniture for you as per your choice and pattern. From beds to sofa sets, from chairs to window frames, our carpenters can carve a new one or repair it for you. If you need to give your old and faded furniture a brand new look, we offer renovation services. We can make your old table look like brand new. We can fix a broken leg as if it never was broken. We can polish your tabletop in a way that it looks like it has just been out of the showroom. Our carpenters can handle all sorts of wood and metal furniture repairs. 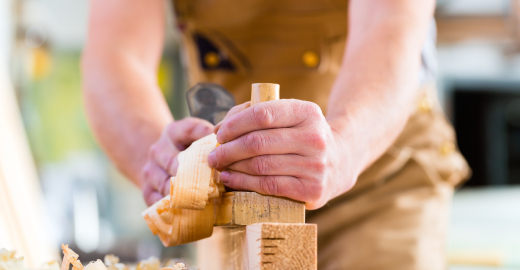 Our carpentry services are the best, and we promise you won’t be disappointed with us. Metal Furniture – Gates, Window Grills etc. The work begins when you call us for appointment or query. Once we get a booking, one of our servicemen teams will visit your place for an inspection. They’ll take a look at the place to identify the problem. In the case of small problems, we’ll get them fixed then and there, and an invoice will be generated for the same. For bigger problems, which usually take a lot more time than just a couple of hours, our professionals will take a complete look at the entire thing, analyse and estimate the amount of time and cost that would be incurred to complete the work. Our professional then will return, and you’ll be given an estimate of the entire work. We charge a modest fee for visiting, which is waived off later on in case you decide to let us do the work after taking the estimate. Once the complete work is done upto your satisfaction, the final invoice with all details of materials, labour cost, the cost incurred by us, tax details, etc. is given to you and the payment is collected. Why our Carpenters are the best in Bahrain? We believe in constant evolution through evaluation. We keep training our carpenters to keep improving their already proficient skillset. We keep imparting knowledge about the latest tools and technology and provide them with the best equipment to aid them in working with great efficiency. Our people keep striving for better. That’s what keeps up going ahead. Our commitment towards quality and reliability helps us stay ahead of the competition. That is what makes us the best service providers in Bahrain. Why Choose A Carpentry Service? We need new furniture in the house or at office from time to time. Carving wood and giving it proper shape is a time-consuming task. Also, we don’t have any proper tools and equipment to do so. Hiring a carpenter who can do it properly for you always a wise decision. A professional carpenter can carve wood perfectly and give it the proper shape, size and durability. When it comes to renovating or repairing broken furniture, trying to do that all by yourself could result in worsening the problem. Without proper experience, we might hurt ourselves trying to use the hammer or the chipper. Professional carpenters can do all of this for us in few minutes what will take maybe hours for us. A professional and reliable carpenter is here for making your worries disappear and get it done or you conveniently and qualitatively. Handyman carpentry services include the furnishing of new wooden and aluminium furniture for your homes, offices, etc. Our carpenters offer renovation, restoration, repair of various wooden furniture at your place using the latest tools and equipment to keep the work fast, stable and perfect. Handyman is available on call everyday. We take bookings and appointments every day. You may book an appointment with our carpenters between 8AM-8PM on any day. You may call us to pay you a visit in advance or on an emergency. Choosing handyman is equivalent to choosing quality. We have the best workmen in Bahrain with proper experience and relevant certifications and licenses. Our workmen are thoroughly professional with a knack for their job. You’ll never be disappointed with our service. We try our best to provide reliable services to our customers. Our workmen are thoroughly professional in their work and always provide honest opinions and estimates. We are a service company renowned for their, trustworthy, reliable and professional services throughout the country. Our commitment towards our work makes our carpentry services the best in Bahrain. Humans used to chop down wood before metal processing was invented and used it for fuel, making house and furniture. As we became more and more social, some people developed new skills to chop wood, join two pieces of wood together and give them desired shape to suit people’s needs. As we progressed further, these skills were passed on to the next generations, with every generation giving something more every time. Slowly and steadily, with the invent of new tools, machines, and techniques, those people began putting their artistic creativity to make the furniture look good, stay strong, resist any damaging conditions and compliment your homes and offices. The process continues till today, and that is exactly what we know as carpentry. Our carpenters are experts at wood carving and can cut all types of wood and join it together to make furniture of your choice. We can carve you beds, diwan sets, chairs, windows, cabinets(assembled on site), etc. Our carpenters can work on all kinds of wood – from mahogany to timber. Our carpenters are well equipped with all sorts of cutting, carving and shaping tools to make sure the finished product is as per your wish and needs. How we Treat Faded/Cracked Furniture? With our honed skills and expertise, all cracks in the wooden furniture can be filled. We can use wall putty or shellac sticks with equal skill. Once the material is injected or mixed into the wood crack, we will paint/stain it to match up with the surrounding surface. You’ll have a real hard time finding out the place of crack once the work is done. As for faded furniture, we have a wide variety of wood paints, wax and polishes to make sure every point, corner and little space of your furniture looks uniform and as good as brand new. What do you mean by metal furniture? Metallic furniture, especially window frames, door frames, etc. are quite popular. Aluminium is commonly used to make such furniture as it is light, strong, durable, rust proof. We can repair, install and maintain all aluminium furniture.